MyTAX is ACCESSIBLE.Visit our website anytime. MyTAX download time is only a FEW SECONDS because the file size is less than 1 Megabyte. MyTAX is LOW COST. The price for a copy of the latest tax year version is $5.50. Previous year versions are free. MyTAX is LOW RISK. 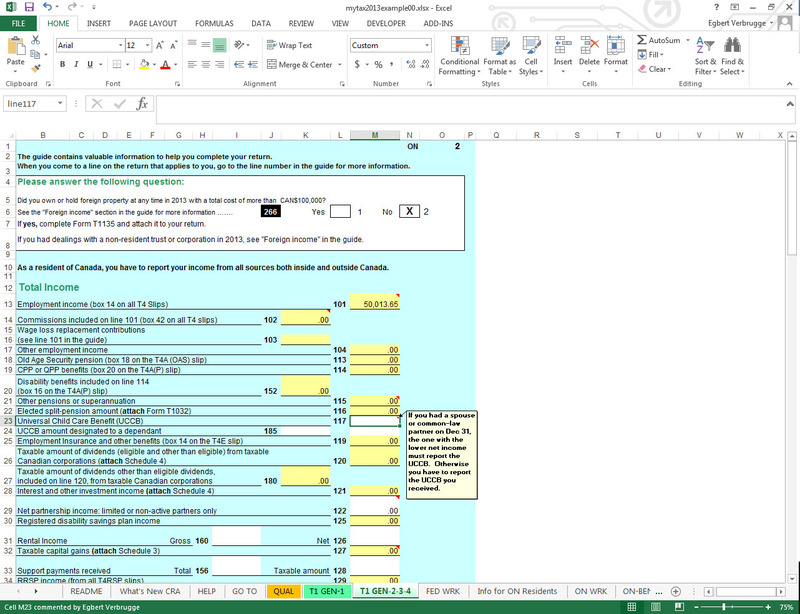 Download a previous years version to "try before you buy"
The current release of MyTAX has input sheets for T4, T4A, T4A(OAS), T4A(P), T4A-RCA, T4E, T4PS, T4RIF, T4RSP, T5, T778, T2204, T2205, T2209, T5007. If a "T" sheet or form is not yet implemented in a version, you can input data from your slips into the MISC sheet or T1 General forms line(s) where it belongs. Click here for a page of MyTAX Features . Visit our frequently asked Questions & Answers. Check out a screen shot of MyTAX. Read unsolicited testimonials from our customers. We introduced MyTAX in 1998. Since that time thousands of residents of Canada have used MyTAX to prepare their T1 GENERAL Canadian Personal Income Tax Returns. Click here for the Canada Revenue Agency Web Page for individuals. Please feel free to contact us: support@peeltech.ca with your questions and comments.